Souzan El-Eid, a breast surgeon with Comprehensive Cancer Centers of Nevada, assumed the presidency of the Clark County Medical Society on June 18 and is plotting an aggressive course based on service to the profession. 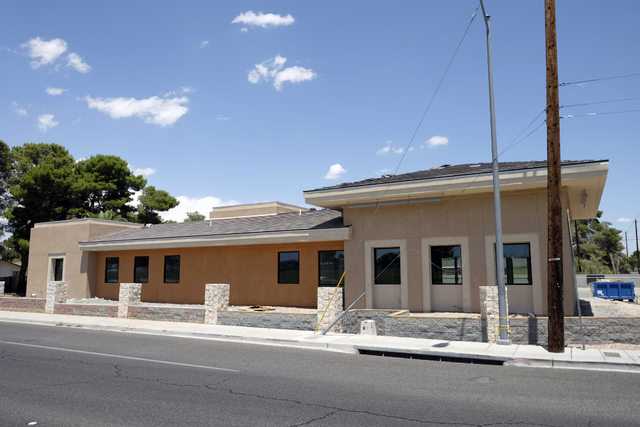 The Clark County Medical Society's new office building is under construction at 2590 E. Russell Road in Las Vegas. Ulf Buchholz/Las Vegas Business Press. With the state of health care and an extremely busy professional schedule, why take on yet another demanding and, some might say, thankless job? Witnessing war firsthand while growing up in the mountains of Lebanon influenced El-Eid to become a doctor. Her parents sent her to the U.S. to go to medical school. El-Eid received her medical degree in 1990 from the University of Nebraska, College of Medicine. She completed her internship at Yale New Haven Hospital Saint Raphael in New Haven, Connecticut, then her general surgery residency at Nassau University in Long Island, New York. She received a critical care fellowship at Wayne State University in Detroit. “I had to make them proud, right?” El-Eid said of her parents. 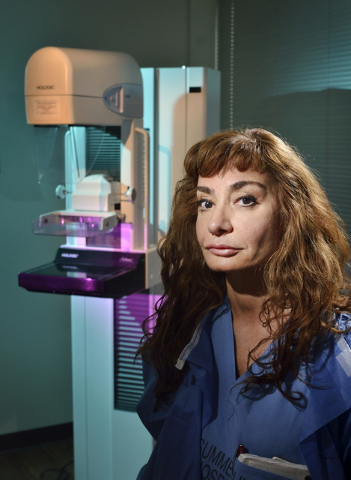 Even though she loved trauma and general surgery, she repeatedly found herself being sought out by women to perform breast cancer surgery. El-Eid went back to school for more training to become a surgical oncologist. After having her own practice in New York, El-Eid missed seeing sunshine. She bought a high-rise Vegas condo in 2006 and began spending more time here. Our weather finally won her over, and her sunny vacations morphed into a permanent move. El-Eid opened a solo private practice in 2009 and became an active member of the Clark County Medical Society. 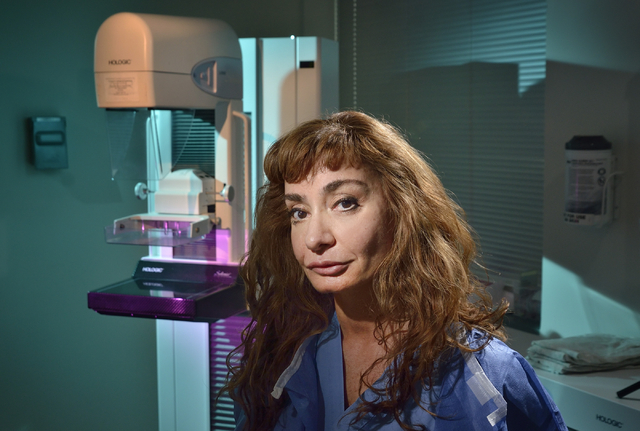 By 2010, she joined Comprehensive Cancer Centers of Nevada as a surgical oncologist and director of the Breast Care Center at Summerlin Hospital. El-Eid has served as a principal investigator for several CCCN clinical research studies. What does El-Eid see as the biggest challenge facing doctors today? New doctors are faced with staggering medical education loan debt, overhead costs and burdensome reporting requirements and regulations. El-Eid thinks a solo physician practice may be a thing of the past. “You cannot survive because the insurance companies are not going to offer you the contract that they offer the big (group practice) companies,” El-Eid said. To be proactive in the new health care environment, the incoming president of the CCMS sees strength in numbers. Recently, four national physician leaders testified before a congressional committee about the Medicare Access and CHIP Reauthorization Act of 2015 (MARCA). The act will eliminate the sustainable growth rate provisions that left physicians under pressure to constantly see more patients. Amy Farouk, an editor with the American Medical Association, called this physician input “a critical opportunity” in a recent article about MARCA implementation. The new home of Clark County Medical Society, 2590 E. Russell Road, is on scheduled to open soon, according to Loretta Moses, the society’s executive director. “We are on schedule to move from the old to the new building (on the same property) the first week in July. We will demo the old building July 19,” Moses said in an email. Instead of holding Continuing Medical Education symposiums at different venues, the new conference room will enable CCMS to offer a wide range of classes on-site. Upcoming topics will include robotics, telemedicine and diagnostic testing. El-Eid hopes the new facility will be the center for health information in Clark County — a place where doctors and the public can come with questions and leave with answers. She also thinks the new center will help address the nationwide phenomena of doctor burnout. According to an April report in U.S. News & World Report, doctors are 15 times more likely to experience burnout than other professionals. It is estimated that 40 to 60 percent of primary care physicians have burnout before the age of 50. El-Eid envisions the new building as a place where physicians can experience camaraderie with their peers “and take some of the pressure away” with a little food, a glass of wine and shared experiences.